We are experimenting with a Raspberry Pi as a vision co-processor and currently don’t have it mounted in any way. How would you mount (and power) a Raspberry Pi on a bot properly? 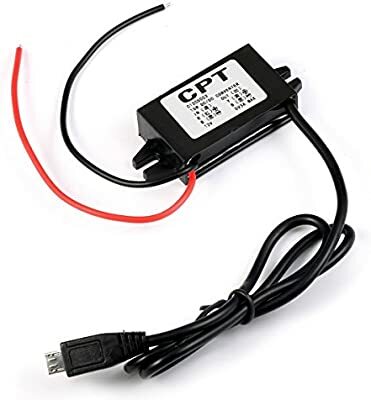 Currently, I was thinking of putting it in a case screwed to the E-Board and having it run off the 5V/2A supply of the VRM through it’s GPIO pins. Is this a proper way of doing this, or can I do it better? Mounting: double stick tape down and zip ties over the top is a quick and dirty way. Definitely put fine cloth or tape over what you can on the case to try to shield it from swarf. Re power, I tried the splice option, but for unknown reasons (I’m the software guy), the pi would reboot continually. When I plugged a usb cable into the Rio & the micro-USB into the pi, I get stable power, and the pi stays up. Was it plugged into the 2A port or the 500mA port of the VRM? Thanks for your help! That’s kind of what I was thinking but way more improved. Good to know - thanks. I’ll bring it up with our EE folks. Question - the camera (single) is plugged into the Pi; thus I conclude that so far I’m within the 900mA limit. But that if I plug a 2nd camera into the Pi, then the Pi might go over that limit. Do I understand that correctly? This is what we use for our Pi. It is an aluminum case with a plastic bottom. Probably the best option for passive cooling on a PI and it is a nice solid case. We power the PI from the VRM to the GPIO of the PI. The case has a spot on the bottom to run GPIO wire out of. If you use standard jumper wires like these Jumper Wires the case actually presses them down and keeps them locked in. Printed a couple of these, very good fit and finish, thinking of some vibration damping mounts. Get ready for unbelievable levels of jank, but you actually don’t need anything fancy. In 2016, we powered a pi 1b through GPIO, directly from the VRM 2a port, then we VHB’d it to the frame. While the VHB was later replaced with a piece of lexan on standoffs, the GPIO power from the VRM worked just fine, just throw a bit of hot melt on the headers to make sure they don’t shake off. Yes, that’s correct. Power consumption will also go up with increased CPU usage, so if you start doing a lot more number crunching it might go over that limit too. All the data I’ve found online regarding power consumption is empirical; the rPi folks don’t spec it down to that level, so there may be variation between rPi’s as well. Our mechanical guys were over taking measurements just yesterday while we were still programming. We actually haven’t mounted it yet and we are doing tests with last year’s drive base. When they do get it mounted, I’ll take some pictures and post them. One problem we have is that we are not using USB cameras on the rPi. We are using the camera specifically designed for the rPi III. It is mounted on an exposed PCB and plugs into the rPi via a 6-inch ribbon cable. So the rPi will have to be physically located very close to the camera.